PRICE REDUCTION......Don't miss out on this great Townhome in Sunset Bay, only one available....This Beautiful Bright Townhome features that include.. 3 bedrooms 3 full bathrooms with 2 closets in every bedroom plus each has a full size bathroom, 2+ tandem garage for all your toys...wash thru garage with new paint through out each level with completely updated kitchen with granite counters, solid wood cabinets with soft close doors, stainless appliances, new vinyl laminate flooring through second floor and bathrooms, all bedrooms and stairs have new carpet, wood burning fireplace, top floor has skylights through out...bottom floor patio that's great for grilling, second and third floor balconies for you to take in the awesome water views. 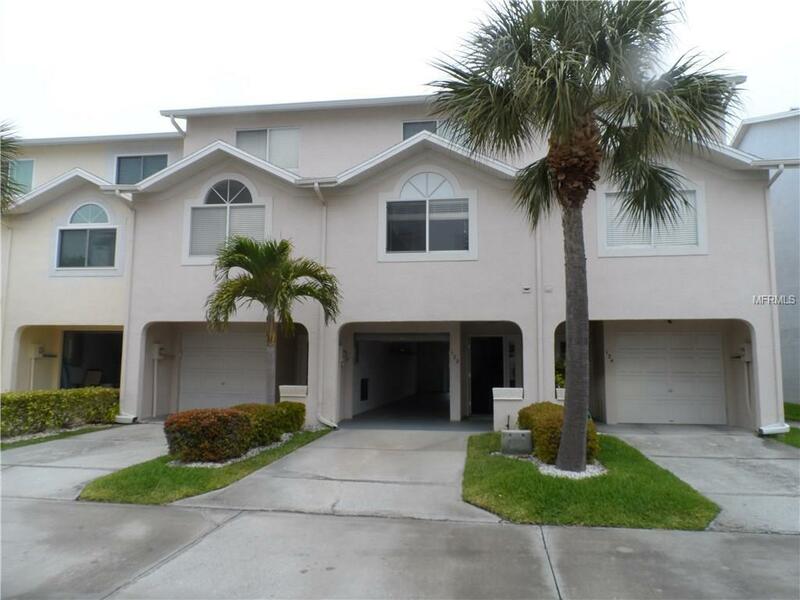 Pool across from you for your convenience and a short walk to the gulf. Listing provided courtesy of Pinellas County Realty Llc.